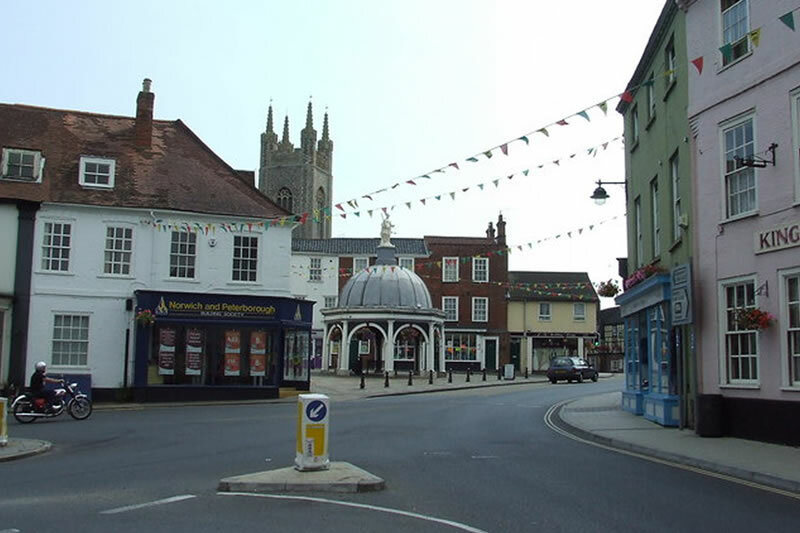 Halesworth is one of Suffolk’s many pretty market towns in the north of the region that prides itself on offering a traditional shopping experience. 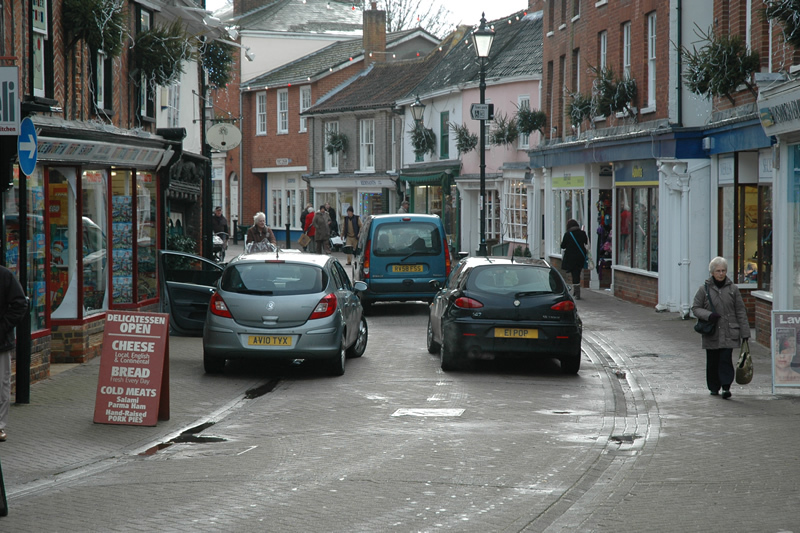 It is centred around the Thoroughfare, a pedestrianised area where many buildings date back to the sixteenth century. Halesworth is fast becoming a centre for the arts. The New Cut Arts Centre is a multi-purpose centre holding events throughout the year; including dance, drama, weekly cinema film, live screenings and exhibitions plus it has a dance studio and a café bar. 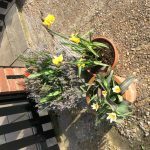 The market town of Bungay has so much to recommend: scenic walking, good shopping, historic buildings, and of course the River Waveney that has been the lifeblood of the town over the centuries. 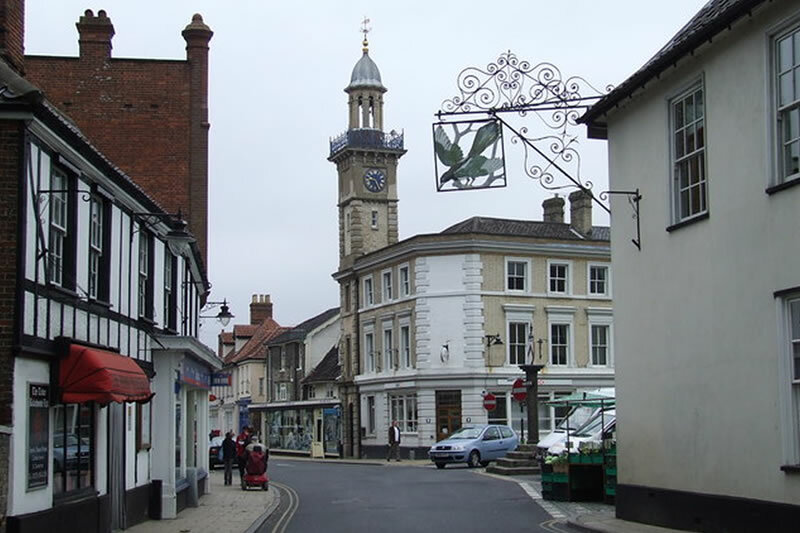 The Fisher Theatre, one of the oldest provincial theatres in the UK, acts as a hub for social events such as films, plays, exhibitions and other gatherings and St Mary’s Church whose large tower dominates the skyline – the site of one of East Anglia’s most enduring legends – that of Black Shuck, the devil dog! Home to a delightful array of speciality shopping, bustling market stalls, food and music festivals and a thriving centre for the arts, it’s little wonder Harleston was once voted Norfolk Town of the Year. 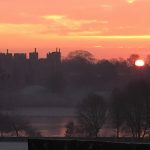 The ancient market town of Framlingham is nestled in the Suffolk countryside and is a firm favourite with visitors and locals alike. 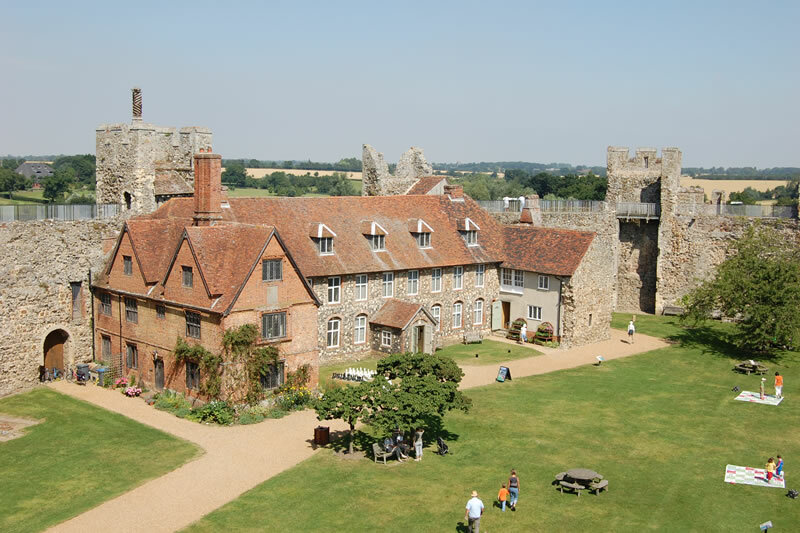 You can’t visit Framlingham without taking in its magnificent late 12th-century castle, a great place for young and old to explore – a historic treat not to be missed. There are excellent shops too, for gifts, food, fashions and antiques and a mouth-watering selection of cafés, tea shops, pubs and restaurants. Woodbridge is a town that has every right to be proud of its heritage. 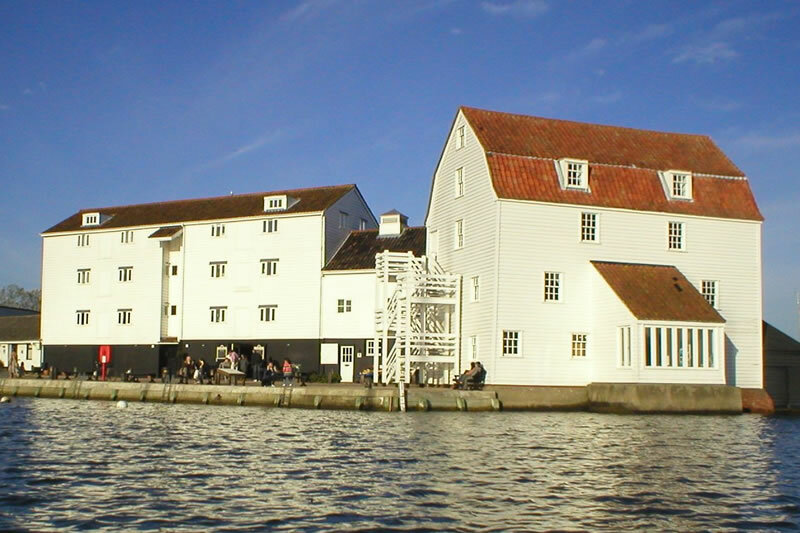 The River Deben is home to the Woodbridge Tide Mill (pictured above) which is thought to be one of the earliest examples of a tide mill in the UK. The idyllic countryside around Woodbridge is ideal for those who love walking and you are never far away from beautiful riverside views. As well as being the most complete medieval city in the UK, it has a flourishing arts, music and cultural scene, superb independent as well as High Street shopping, lively restaurants, bars and nightlife and a heritage that is a delight to explore. 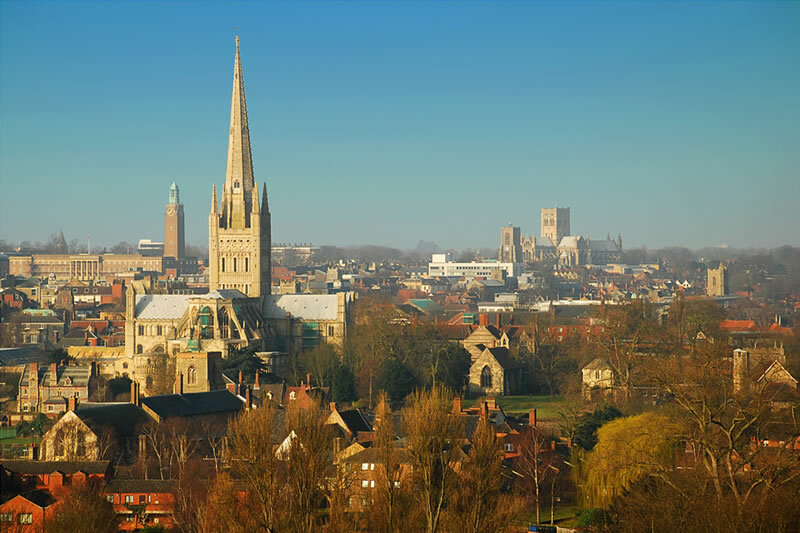 It was also England’s first UNESCO City of Literature – this is a city of stories! A pretty coastal town with a lovely beach, a lighthouse, charming multicoloured beach huts and a wonderful old-fashioned feel, Southwold is a must to visit. 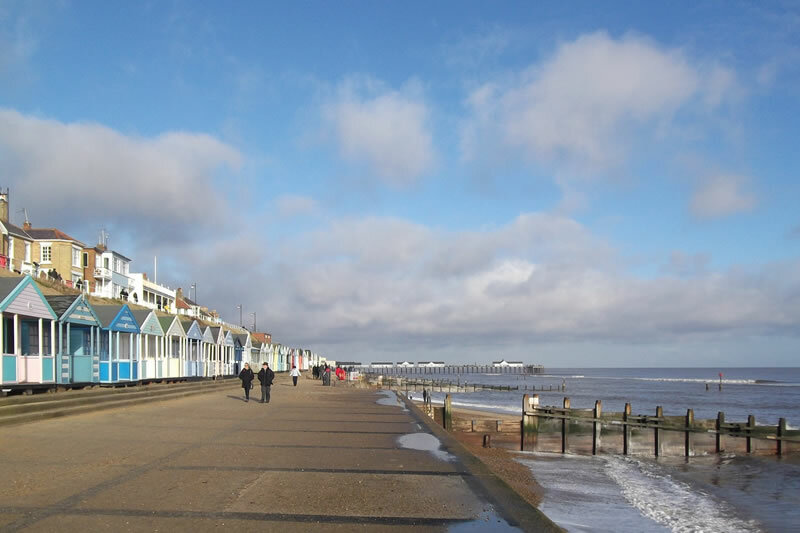 It boasts a fantastic pier featuring traditional amusements like Punch and Judy and Victorian end-of-the-pier shows. Southwold is also home to Adnams Brewery and has many fine pubs and restaurants, as well as shops, galleries and cafes. A popular retreat for artists and writers over the years, Southwold is now home to an annual Literature Festival each November. 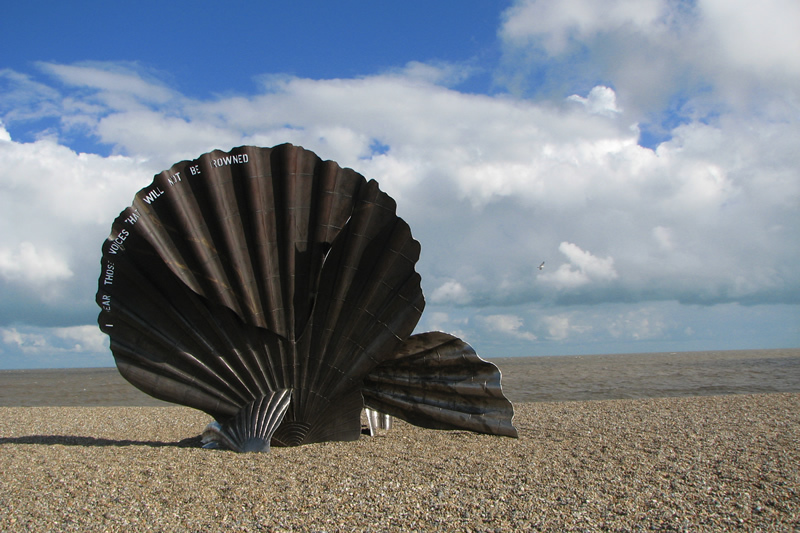 Nearby is the coastal town of Aldeburgh (15m south) made famous by Benjamin Britten. Aldeburgh offers a lovely beach with Martello Tower, a wealth of interesting shops, restaurants and pubs. You can also enjoy seasons of fine music at Snape Maltings, which hosts the annual Aldeburgh Music Festival each June, attracting classical music lovers from all over the world. 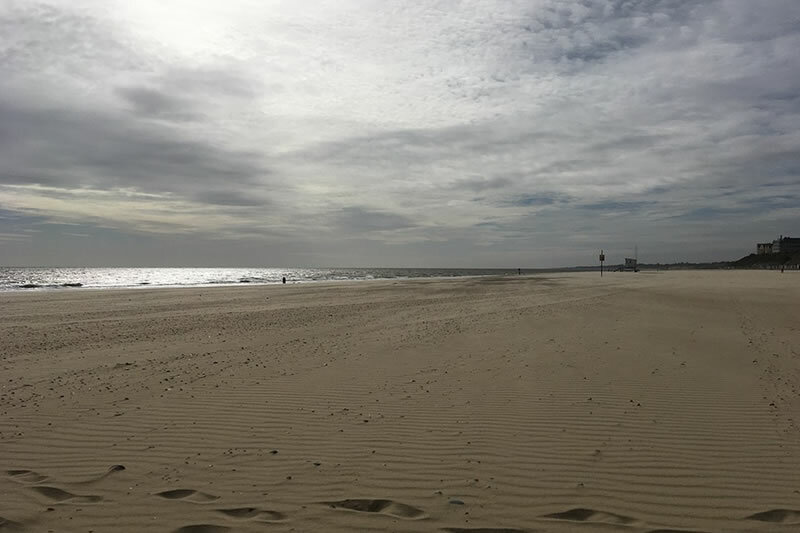 Located on the most easterly point of the British coast with a mix of sandy beaches, pleasant seaside walks and quality family attractions all set in a traditional seaside town. This once flourishing fishing port is now renowned for the quality of its wide, golden sandy beaches. The North & South beaches are considered to be some of the very best in Europe and both currently hold the ENCAMS Blue flag award. The Victorian garden behind the beaches also provide the perfect surrounds to one of the East Coast’s highlights. 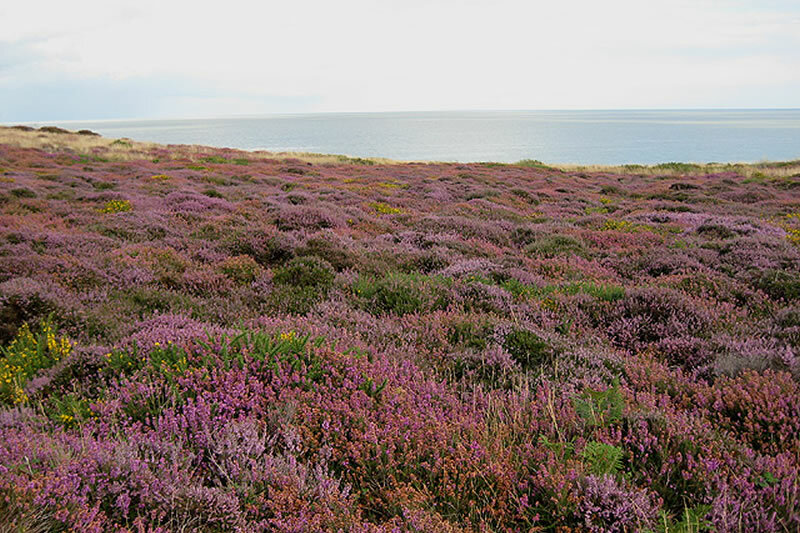 Dunwich, which was almost swept away by stormy seas, like so many of its seafront counterparts, has a wild pebble beach, a bird sanctuary, a forest, a nature reserve and heath, a museum, a garden centre, tearooms and a pub. Situated right on the edge of the beach are the famous Flora Tearooms which serve traditional beer-battered fish and chips from April through to October. Well worth a visit. If there was ever a village that deserved to be called ‘fantastic’ it is Thorpeness, built at the start of last century by a wealthy Scottish barrister with a penchant for mock Tudor and Jacobean architecture. 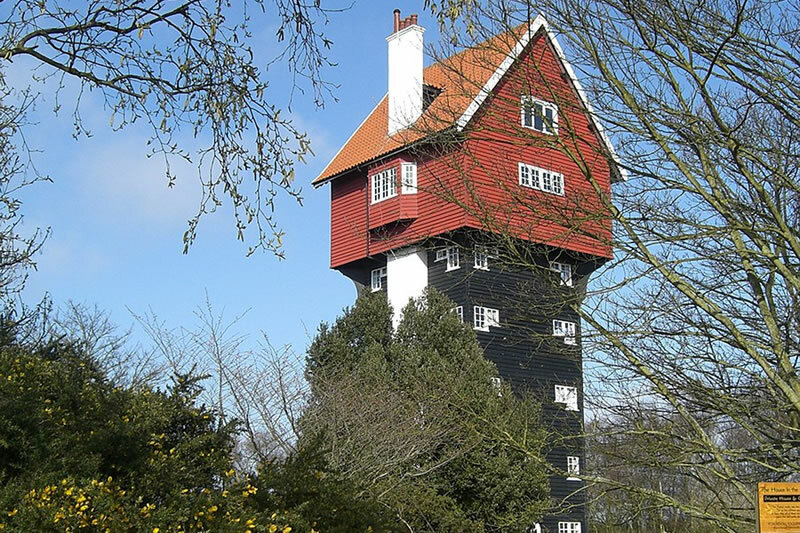 Glencairn Stuart Ogilvie was a Scottish barrister who made his money designing railways and bought some land from north Aldeburgh to south of Sizewell where he created Thorpeness as a holiday village centred around the Meare. The picture-postcard seaside village of Walberswick has attracted artists and film-makers alike for years. With wide sandy beaches, flanked by dunes, much beloved of children and dog lovers, it is also host to the annual Crabbing Championship, which over the years has become a National Institution. 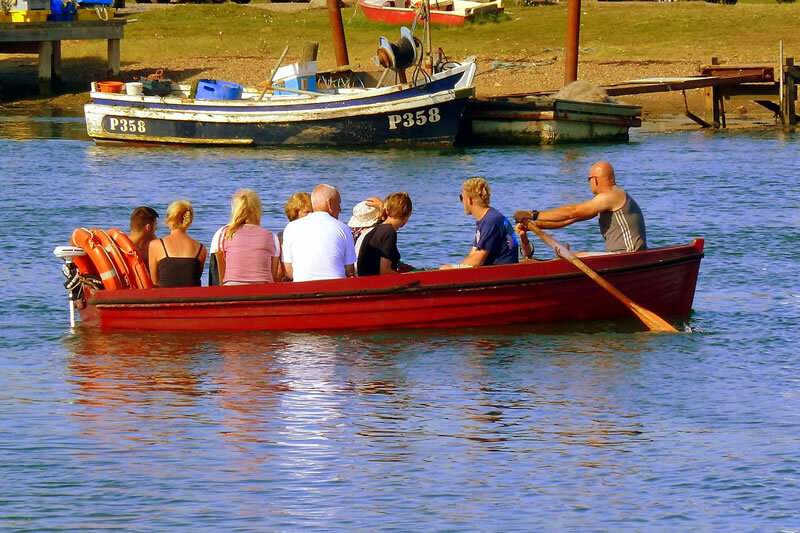 Set around a small village green, Walberswick has a handful of delightful shops and two lovely old pubs. A one-man ferry rows passengers across to the Black Shore at Southwold and the old fishermen’s huts, which sell fresh fish to take home and cook yourself, or to eat in simple premises.